A court shocked many by clearing of almost all charges a former police commander who slept with seven women who served under him, and the Israeli government shocked many when it announced it could not, and therefore would not, forcefully expel any asylum seekers from Israel, (and will just put them in jail) while the US and Israel both threatened Iran it ‘would pay,’ not shocking many, making top stories in today’s Hebrew newspapers. Israeli Defense Minister Avigdor Lieberman said Israel may strike the Russian-made S-300 anti-aircraft defense systems in Syria if they are used against Israel and US President Donald Trump said “Iran will pay if it restarts its nuclear program.” This came after Iranian Foreign Minister Mohammad Javad Zarif and French President Emmanuel Macros both said there would be no “plan B” should U.S. President Donald Trump exit the accord. From Natalie Portman to Iran, the Telltale Signs That Israel May Have a Loose Screw (Chemi Shalev, Haaretz+) Hannah Arendt noted that insanity is a prerequisite to imposing totalitarian rule. 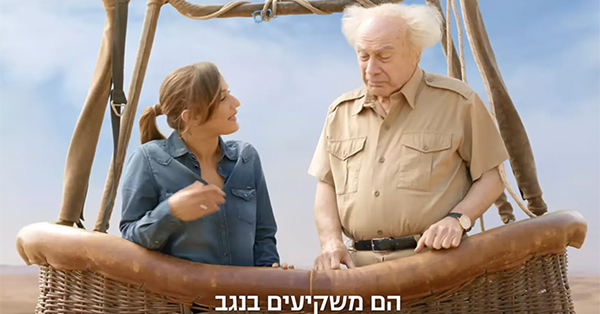 Natalie Portman is just a symptom of US Jewry’s changing attitude towards Israel (Attila Somfalvi, Ynet) It would be very dangerous to see Jewish actress’s defiant move as a passing episode or meaningless provocation. She is a symbol of dramatic changes taking place within the family, a sign of US Jews’ profound disapproval of what they see as a very problematic direction the Jewish state is headed in. The real danger of Natalie Portman (Dahlia Scheindlin, +972mag) Israeli leaders are relentlessly hammering home the idea that the kind of political dissent displayed by Natalie Portman is foreign. And dissenters, by definition, are not real Israelis. The BDS win at Barnard is moral posturing gone insane - they should learn from Portman (David Rosenberg, Haaretz+) Morality isn't adopting BDS' absurd agenda and yelling at Barnard College to divest shares in 8 'complicit' companies, it's taking personal action like Natalie Portman did. Blaming a child for the sniper's bullet that killed him (Orly Noy, +972mag) Education Minister Naftali Bennett claims 15-year-old Mohammed Ayoub wouldn’t have been shot dead by an Israeli sniper if he had been at school. Bennett’s comments reflect a reality in which Israeli soldiers kill with impunity. Good news: At last the coalition is dealing with one of the most serious problems in Israel (Nadav Haetzni, Maariv) The constitutional revolution of Justice Aharon Barak developed decisively under Likud. The voters of Habayit Hayehudi party demand the expropriation of power from the coalition of High Court justices. It is time for them to compete among themselves about how to do the right thing. How to Destroy the High Court (Haaretz Editorial) The price Israel will pay for Netanyahu’s weakness will involve the demolition of the protective constitutional wall afforded by the High Court. Without the High Court overriding clause, thousands of infiltrators will understand that a leftist minority is ruling here (May Golan, Maariv) Fifth column activists have already thwarted the plan to deport the infiltrators to third countries, but we did not expect the state to admit publicly that it cannot act. Only the clause to override the High Court’s revoking of a Knesset law will protect us. Israel Will Not Survive Netanyahu. And That's a Good Thing (Bradley Burston, Haaretz+) In all of his proud intransigence, Netanyahu may be creating the very conditions for a radical new Holy Land, a future Israeli-Palestinian confederation. The Israeli government sought to expel the asylum seekers, but justice won (Mossi Raz, Maariv) For years south Tel Aviv was the backyard of the city, it was easy to send the weakened immigrants there. Now is the time to improve the conditions of the area, while ending the incitement and dispersing the refugees across the country. For a model of Jewish-Arab coexistence, look no further than a Primark fitting room (Nissan Shor, Haaretz+) Primark in Berlin might feel like hell on Earth – but it's where Jews and Arabs put their difference aside in pursuit of cheap stuff. Under the Hater’s Violent Gaze: A Portrait of Racism and anti-Semitism (Eva Illouz, Haaretz+) However repulsive the racist may be, he has a logic which we must understand, because such a logic can ultimately wreak havoc. Why the PA can't — and won't — stop paying prisoners' families (Yoni Mendel, +972mag) Israel’s demand that the PA stop paying the families of Palestinian prisoners is part of an intentional strategy to block any progress towards resolving the conflict. The problem is that it’s working. There are cases in which the use of the term "Holocaust" is appropriate, Jewish assimilation is such a case (Avraham Tirosh, Maariv) The Holocaust and assimilation are not equal in nature, but they are equal in the result. And as far as the future of the people is concerned, and only in this respect, there is no difference in how many millions of our people went to perdition. Everyone’s talking about Russia’s S-300. Why now, and why should Israel be worried? (Anshel Pfeffer, Haaretz+) The air defense system will not be a game changer for the Israeli air force, but what it says about Putin favoring Tehran over Jerusalem is of greater concern. Betweeen Teheran and Pyongyang - Who will give Trump a ladder (Alon Pinkas, Yedioth) In N. Korean, which in contrast to Iran, has nuclear weapons, they are certainly watching Trump’s conduct regarding Iran with curiosity, and wondering whether the US is trustworthy about the agreements it signs. Sixty-seven Things Gideon Levy Loves About Israel (Gideon Levy, Haaretz+) Yom Kippur, Israeli wine, and Gaza. Haaretz's Gideon Levy was sent out on a mission to find 70 things he loves about Israel and came up with 67 – and that wasn’t easy, either. What will be? Who cares - without bloodshed, it won’t happen (Aviad Kleinberg, Yedioth) We don’t know what exactly will be - the future is in a fog - but blood will be shed. How much? That’s still unclear. If we are lucky, little will be shed. If we aren’t lucky, a lot. Not all bloodshed is avoidable, and not all of it is our responsibility, but it is perceived in the public discourse as a power of nature that nothing can be said about. What can you say about the rain of the spring? It comes down and that’s it. Israel’s Make-believe Independence (Nehemia Shtrasler, Haaretz+) Its citizens are in constant fear of the next war. The country is totally dependent on its main ally. Is Israel genuinely independent? Understanding the Hamas split (Daniel Siryoti, Israel Hayom) Hamas political leader Ismail Haniyeh sparked a bitter split when he opted to follow Tehran's recommendations over the feelings of Hamas' own Gaza leader. Israel’s 007 Fixation (Amira Hass, Haaretz+) The frightening message is that the world is a legitimate scene for mutual hits – Palestinian, Israeli – and each will cut down others according to its intelligence and operational capabilities. 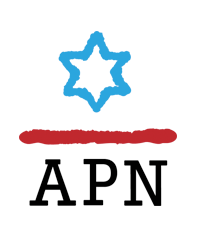 Prepared for APN by Orly Halpern, independent freelance journalist based in Jerusalem.